Archive for the ‘Fear’ Category. My daughter takes horse riding lessons and had a scary incident one day. The horse was spooked and began acting crazy. In an effort to avoid being thrown off, she purposely and strategically fell off. Thankfully, she was fine and her nerves were the only thing bruised. Her teacher and I told her how proud we were of the way she quickly thought through and handled the situation. Late that night, when she was supposed to be asleep, I heard a little tap on our door and saw her sweet head peeking in. I could tell by her face that something was wrong. She said that every time she closed her eyes to try to go to sleep, she remembered the frightening moments with the horse. I wasn’t exactly sure what I could say that could help her, but I knew God had some words! So, I grabbed Parenting with Scripture and looked up “Fear.” You’d think I’d have remembered that “Fear” was actually categorized under “Courage,” since I wrote the book! But I didn’t, so thank goodness I also added a cross-reference index for all of us! Immediately upon glancing down the page, I knew God’s Word would bring comfort. What a perfect Word from God to settle her heart and mind as I tucked her back in. She was able to go right on to sleep that night. 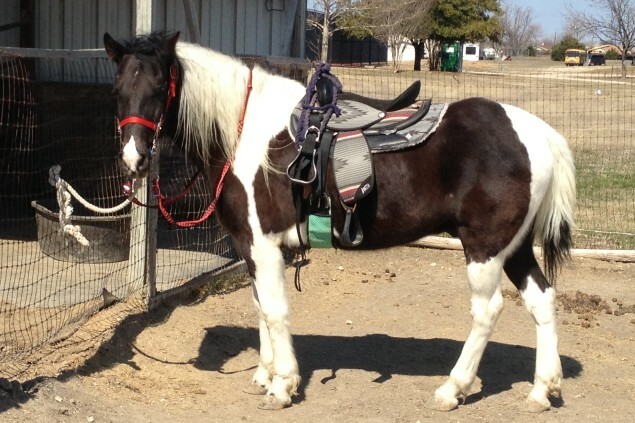 The following week, she got right back up on a horse like a champ! God’s Word had provided peace and courage all in that one teachable moment. I’m grateful I was at a loss for words, because God’s were much better than anything I could have come up with!